New Edition includes exclusive material. This year, Legend Press are reissuing three of their most-popular titles from previous years, to give them the chance to reach a whole new audience. 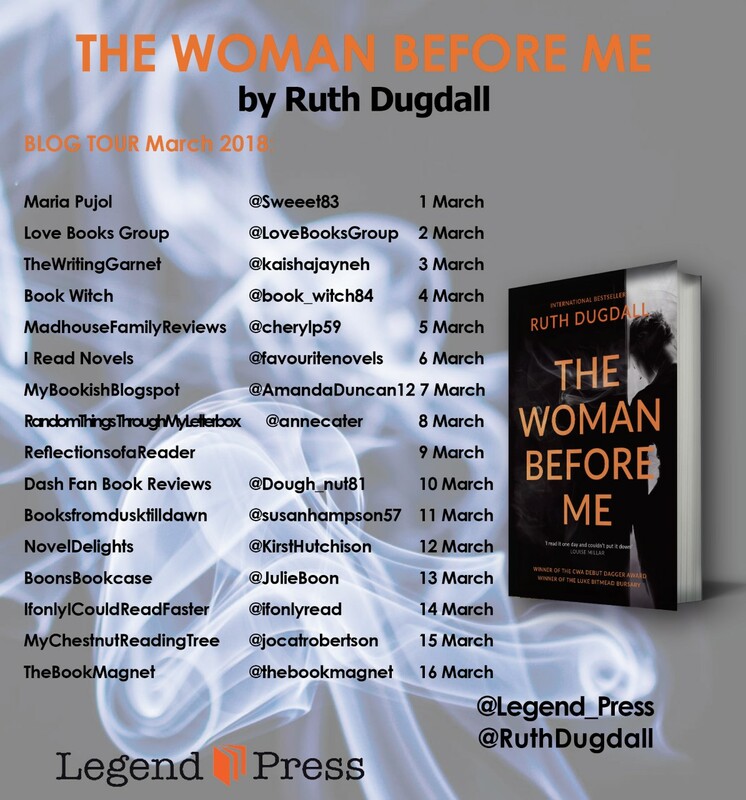 On 1st March, it’s time for The Woman Before Me by Ruth Dugdall. I am a huge fan of Ruth Dugdall's writing and have a special fondness for her stories about Cate Austen. 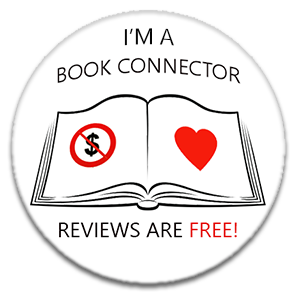 I read and reviewed The Woman Before Me some years ago, and am happy re-publish that review today to celebrate this new edition as part of the Blog Tour. The book was the winner of the second ever Luke Bitmead Bursary and was also the winner of the much coveted and admire CWA Debut Dagger prize. 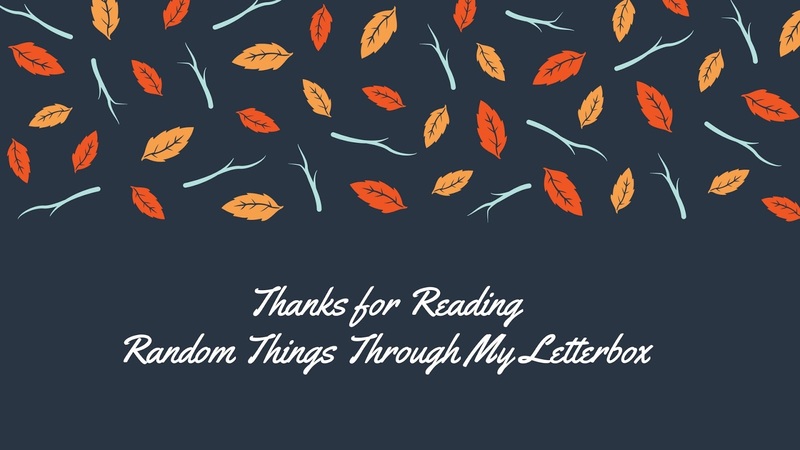 I also have one copy to give away to one reader of Random Things. 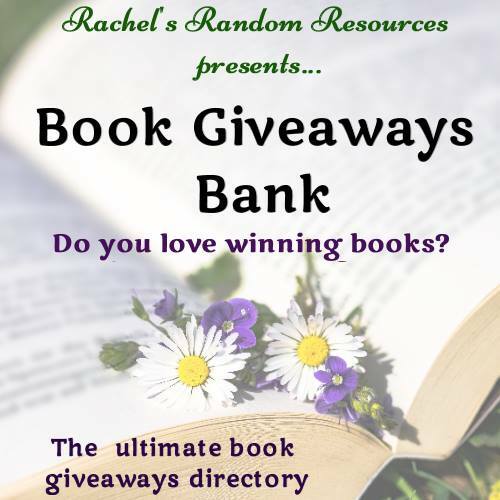 Entry is simple, just fill out the competition widget at the end of this post. The competition will stay open for seven day and this is a UK ONLY give away. GOOD LUCK! 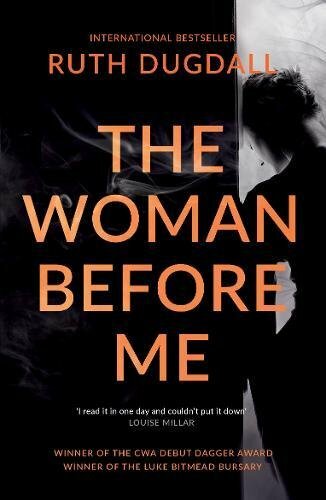 The Woman Before Me is a psychological thriller that is hauntingly dark and bleak, there is absolutely nothing pleasant contained within this story, yet it is a compelling and at times, very addictive. It kept me reading until the late hours. Rose Wilks is serving a prison sentence for the manslaughter of a young baby. The victim, Luke, is the child of a woman that Rose befriended whilst she was in hospital herself, when she gave birth to her own son Joel. Rose had a difficult labour and Joel was very sick when he was born. He didn't survive. Cate Austen is the mother of a young daughter. She's also Rose's probation officer, and it is her job to determine whether Rose should be released from prison. As Cate and Rose edge around each other, trying to work each other out, the reader is privy to Rose's 'black book'; her secret diary that explains everything about both the crime, and about how Rose became the woman that she is today. Manipulation and unreliability could be Rose's middle names, her story appears credible, but always, in the background, there is that nag of doubt about Rose and her story. Whilst I admit that I'd just about worked out the truth behind the story, the double-whammy shock of the truth exposed at the end of the novel was both unexpected and very cleverly done. The belief that the reader has developed over the course of the story is shattered completely. Ruth Dugdall has drawn on her personal experiences as a probation officer when writing this novel, and this shows. The culture of prison life is starkly told, the institutional sexism, the bullying, the difficulties of being a staff member who cares; all depicted very well, and all adding to the overall tension of the novel. This is a chilling story, of betrayal, of lies and of obsession. At times uncomfortable due to the nature of the crime, but it's compulsive. Ruth studied a BA (Hons) degree in English and Theatre Studies at Warwick University, and then an MA is Social Work at UEA. She worked as a Probation Officer for almost a decade, working in prisons with numerous high-risk criminals. Ruth's debut novel The Woman Before Me (Legend Press, 2010) was informed by her experiences. Ruth's professional background gives her writing authenticity and credibility. 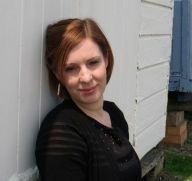 Ruth's second novel The Sacrificial Man was published in 2011. 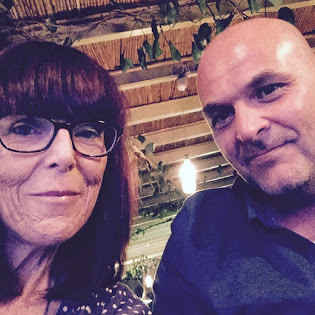 Ruth is the winner of the CWA Debut Dagger and the Luke Bitmead Bursary and has been longlisted for the New Angle Book Prize and People's Book Prize.